My mother's family, the Juniors, for many years would have yearly family gatherings. In 1998 the gathering was at Magnesia Springs which my uncle Gary Junior had bought and restored. Magnesia Springs had a long history (see history) as being a place to go to in the hot summers of Florida to cool off in the spring waters. As a child our family would make the trip which was a short ride outside of Gainesville. 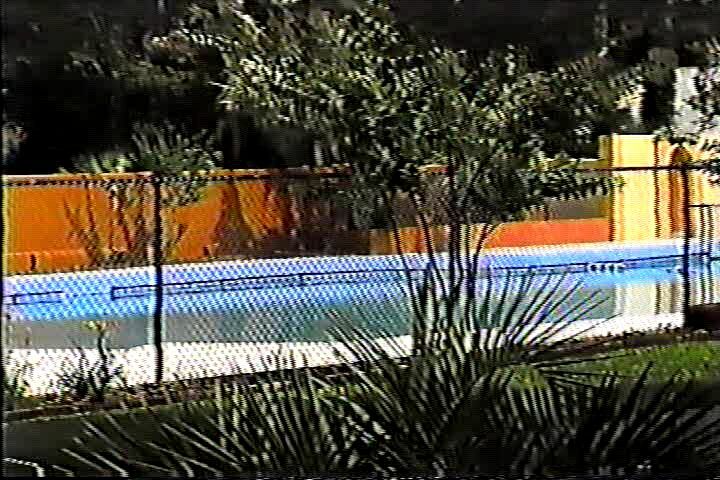 The thing I remember most about Magnesia Springs is that one summer while at the springs I was running around the pool, slipped and got a cut across my eyebrow and had to be taken to the emergency room to have stitches. As we sometime did for family reunions, this year had a theme, a play titled "The Monster of Magnesia Springs". The play was written by my aunt Carole and each family member had a role. The weeks before the reunion each family member was told what their part was and to come with a costume for the character. We were only told what the character was like "reporter", "scientist", "preacher". Each role in some way reflected something about that person but we were told nothing more. I, being always interested in science so I played the "scientist". My brother David who works as a postman played the "postman". My brother-in-law, Tom, who was a minister played the "preacher". And so it went with each family member. The day of the reunion I got in the car with my parents, and like we did so many years before, we traveled out to Magnesia Springs. In the first hour or so the members of the family arrived and greeted each other and caught up on the latest family news. After everyone had arrived Aunt Carole announced how it would work. Just before each scene you would be notified if you were in it and to get into your costume and report for filming. We still had no idea what we were to say or to do. The following script I transcribed from the original video. NOTE: As you read the play there will be information icons like this Clicking on the icons will display additional information about the character or point in the play.